Joyetech Social - Joyetech TEROS honest review. 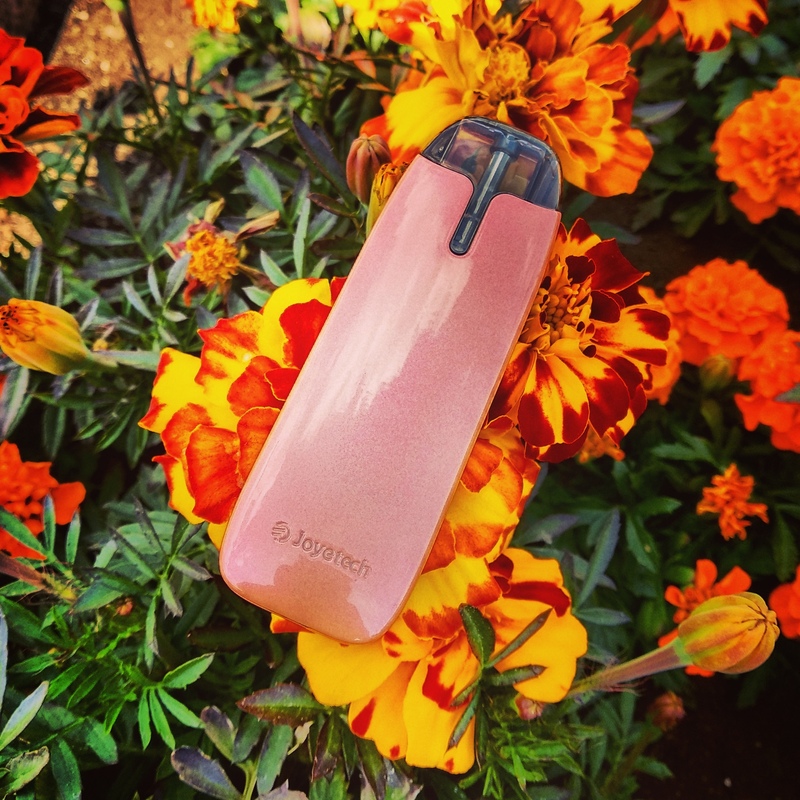 Joyetech Social > Question, Suggestion & Feedback > Products Review > Joyetech TEROS honest review. Full Version: Joyetech TEROS honest review. Hello, dear Social! I want to tell you a story about new Joyetech device – TEROS, and how does it fit into the current market. If there is a discrimination against the vapers, then the size of the devices must be reduced to almost unnoticeable. There is another plus - "similarity" to the size of analog cigarettes or any other items common to a smoker: for example, lighters. The smaller the size of the device itself – the smaller the size of the heating element and the power source, and consequently the smaller the amount of vapor produced. The lower the power - the greater the strength of the liquid is needed to saturate the body with nicotine. This is a problem, because up to this moment the strength was lowered and even fixed by the law in some countries. Nicotine salts came to the aid, providing better absorption to the circulatory system of man. It is necessary to reduce the threshold of entry and attract new groups of users, as well as those who have already tried electronic cigarettes, but faced with known troubles - the difficulties with using, selecting the necessary strength of the liquid and the chronic reluctance to use Google. Finally, the price. Acquiring a huge, sparkling light bulb, a three hundred-watt miracle, the consumer feels what he paid for. Consequently, the final cost of a small, plain device should be cheaper. Low power, as a rule - from 5 to 15 watts. A small battery, in the range of 250 to 650mAh. Often equipped with an automatic tightening sensor. For cost reasons, they are equipped with a proprietary connector and a charger connector. From the last point one more follows. If the atomizer is still unique for each model, the liquid reservoir can be combined with the coil into a single whole, or even better - additionally filled with the e-liquid directly at the plant, solving a number of other problems: eliminating the user from searching e-liquids of the required consistency and fortresses, circumvention of certain laws in a number of countries, an additional reduction in the price of the entire construction, and the provision of a producer with a flow of buyers requiring supplies. Cartridge systems were most widely distributed in the US, where JUUL and others similarly managed to bite off such a large chunk from the incomes of tobacco corporations that they had to launch even more aggressive propaganda against hovering. This war in May 2018 resulted in the beginning of blocking of channels on YouTube, related to vape reviews. Search for the appropriate cartridges. A fixed range of flavors and fortresses. Need to use a different charger and carry it with you. The need to frequently charge the device. The unreliability of the automatic inhale sensor and the absence of any protection against the ingress of liquid into it. Absolute identity of the appearance for most of these models. 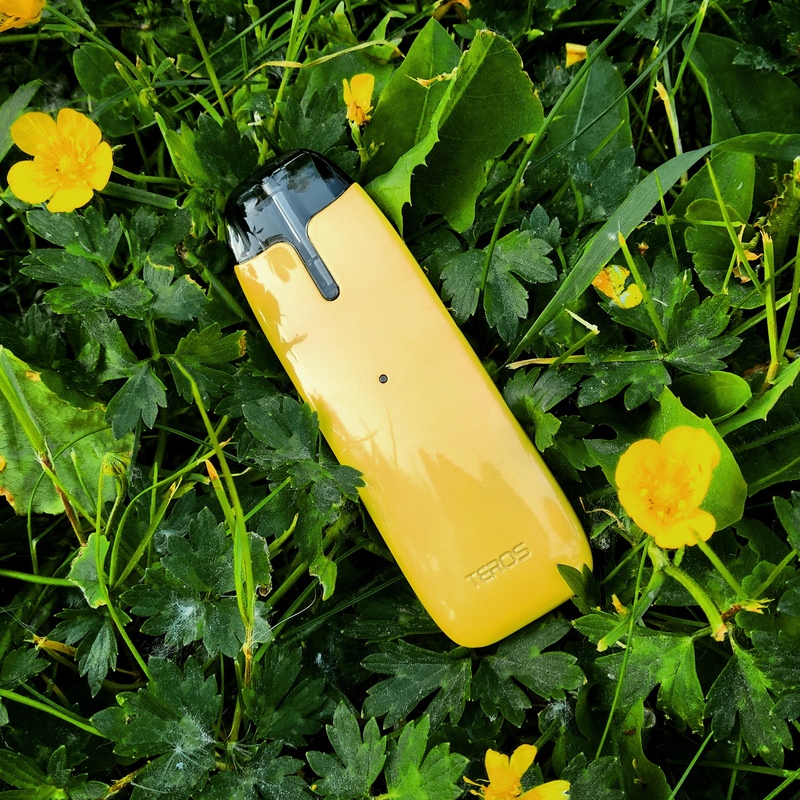 And so, after such a long foreword, we got close to the new device from Joyetech - TEROS, designed to eliminate a lot of inconvenience. TEROS - cartridge system with an automatic inhale sensor, which has a number of important advantages over competitors. The volume of the cartridge combined with the coil is equal to two milliliters, but you are free to fill it with any liquid to your taste. Naturally, the liquid should be PG/VG 50/50 or any other with low VG. Naturally, the liquid should have increased strength - in this we will be helped by nicotine salts, otherwise you just will not feel anything. Naturally, the cartridge here is still proprietary. On its lower side there is a special hole hiding the automatic sensor and protecting it from liquid ingress and subsequent failure, and thanks to this it is immediately clear how to put all this stuff into the device. Asymmetry is caused by a separate channel for air passing through the structure. By the way - in a set with the device there is a pair of cartridges, and their price is identical to the price of traditional coils. TEROS has a built-in battery with typical for cartridge devices capacity of 480mAh. But even here Joyetech has a trump card - ECO technology, which limits the output voltage to 1.85V. With its help, our hero will last in the ranks nearly twice as long as competitors. No additional devices for charging are needed, the model has a standard MicroUSB connector. A small LED that changes its color from green to red will notify you about the battery state. TEROS weights around 58 grams, and resembles a flash drive or a lighter. In terms of design, it has really stylish black and steel versions, and the colored: they change their color under the influence of sunlight (white turns pink and yellow turns red) and under the influence of temperature (red mutates into yellow, and violet, in turn - in red). On the faces there are engravings "Joyetech" and "TEROS". This model is an excellent alternative to almost all devices of this kind. I used TEROS with liquids based on salt nicotine with a strength of 35 and 20 milligrams, the best option seemed to me to be the 35th. Strangely enough, I will recommend the device for fans to twist and turn things in their hands, TEROS has a very pleasant texture and a fairly "metallic" sense of weight. For a quick break or for use in the office this thing is priceless. Excellent review, what else could be expected from you! I've just got a Teros and will be reviewing it soon. It's simple and powerful and slim yet tough, ideal for putting in a shirt or jacket pocket. Awesome review, and great pictures. Does it change color just from the heat of your hand or does it only change in extreme heat like sunlight? (06-13-2018, 10:48 PM)CosmicTruth Wrote: [ -> ] Awesome review, and great pictures. There are two types, I believe. My yellow change color from direct sunlight, but there are temperature variants as well.